Turkish opposition Republican People's Party (CHP) leader Kemal Kilicdaroglu stated that uncontrolled power results in disaster commenting the upcoming referendum on shifting toward the executive presidency in Turkey. MOSCOW (Sputnik) — Turkish opposition Republican People's Party (CHP) leader Kemal Kilicdaroglu endorses the "no" vote in the upcoming referendum on shifting toward the executive presidency, warning that uncontrolled power could result in a disaster. "This has nothing [to] do with parties or individuals. Authority exists in democracies to be controlled. Uncontrolled power is not power. Uncontrolled power results in disaster," Kilicdaroglu said, as quoted by Hurriyet newspaper. 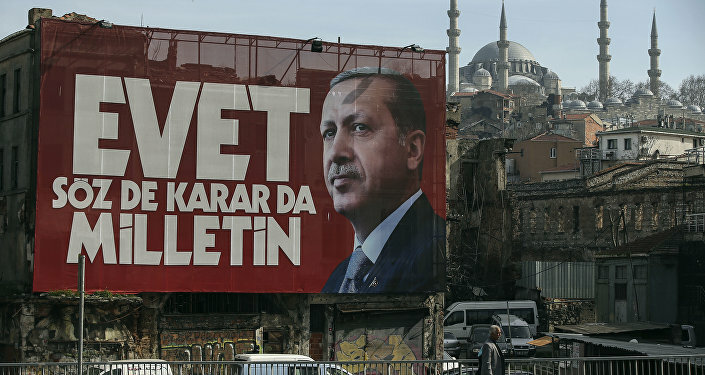 He added that the constitution existed to protect the citizens and "if you want justice to be strong, then we will vote ‘no.’"
In January, the Turkish parliament approved a number of constitutional amendments that would boost presidential powers, including granting the president the ability to appoint a number of top judges and declare a state of emergency. The decision was criticized by opposition parties as a power grab attempt by the president. The Turkish referendum on constitutional changes is scheduled April 16.